The hunt is on for Salih Muslim, the Kurdish Syrian leader on Turkey’s “red list” of most wanted individuals, Turkish Foreign Minister Mevlüt Çavuşoğlu told reporters on Monday. Muslim, the former leader of the predominantly Kurdish Democratic Union Party (PYD), was added to Turkey’s red list of “wanted terrorists” last February, as fighting went on between Turkish armed forces and fighters from the PYD’s armed wing, the People’s Protection Units (YPG) in the northwest Syrian enclave of Afrin. Turkey considers the PYD and YPG to be extensions of the banned Kurdistan Workers’ Party, a group that has been in intermittent conflict with the Turkish armed forces since launching a separatist insurgency in the mid-1980s. Muslim was detained at a conference in Prague last week, after a Turkish attendee shared a photograph on social media. His detention sparked calls for his extradition from Turkish political leaders. His release last Tuesday drew condemnation from Turkish President Recep Tayyip Erdoğan, who accused Czech authorities of “supporting terrorism”. However, a statement by the Czech Foreign Ministry cast doubt on whether Turkey had in fact filed for his extradition. Muslim went on to attend a rally in Berlin last weekend, and Ankara again demanded his arrest. 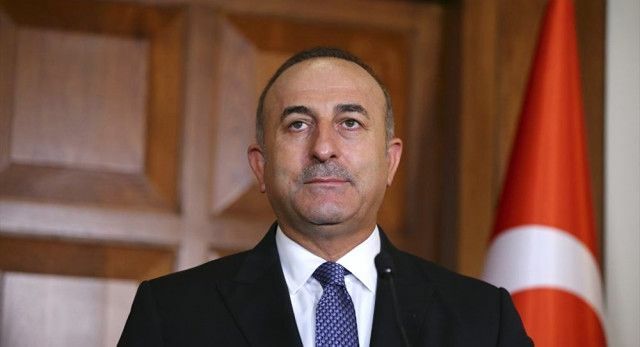 Çavuşoğlu stated that he would be discussing Muslim with German Minister for Foreign Affairs Sigmar Gabriel on Tuesday, and would pursue the Kurdish politician further afield if necessary, the Turkish newspaper Cumhuriyet reported. Dışişleri Bakanı Mevlüt Çavuşoğlu PYD eski Eş Başkanı Salih Müslim'in iade talebi hakkında açıklamalarda bulundu. Çavuşoğlu, "Peşini hiç bir şekilde bırakmayacağız artık ona rahat yok" dedi.